Police issued several lockdowns for Milpitas High School Thursday afternoon while officers investigated separate reports of students in possession of weapons. Milpitas Police Lt. Raj Maharaj said the first incident was reported at 12:05 p.m. when two students in a boys bathroom saw another student with a handgun. The students reported to school officials, who then contacted police. Arriving officers took a 14-year-old student in custody and recovered the gun, police said. Police placed the campus on lockdown during the response and investigation. No one was hurt in the incident, Maharaj said. At 2:40 p.m., police placed the campus back on lockdown to investigate a report of a student possibly in possession of a weapon at the school. The lockdown was lifted shortly after 3 p.m. Police said the student was contacted off campus. A a third-grade student brought a gun to Twin Creeks Elementary School in San Ramon and showed it to classmates, police said. 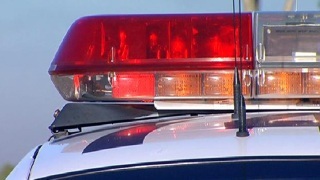 Student arrested for allegedly bringing a loaded handgun to Village High School in Pleasanton.